WESTBURY, NY--(Marketwired - January 12, 2016) - Spectronics Corporation manufactures leak detection dyes and lamps, which offer many benefits to the aircraft technician. 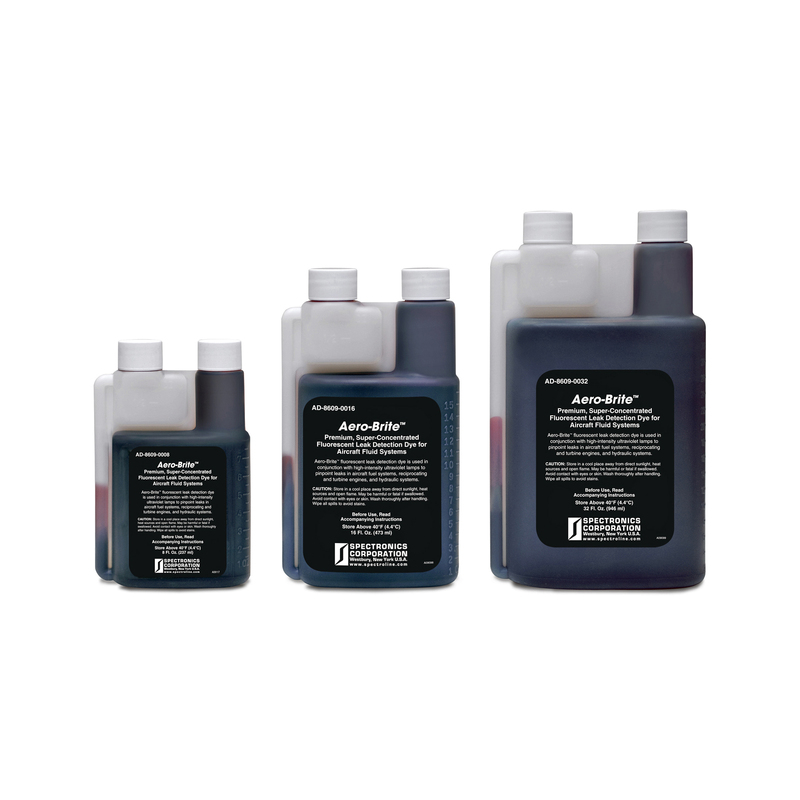 When incorporated into daily maintenance, dyes save money, can prevent equipment breakdown, reduce labor costs and increase the efficiency of flight operation. Spectronics' leak detection dyes are also environmentally friendly and can be used as part of a diagnostic/preventive maintenance program. 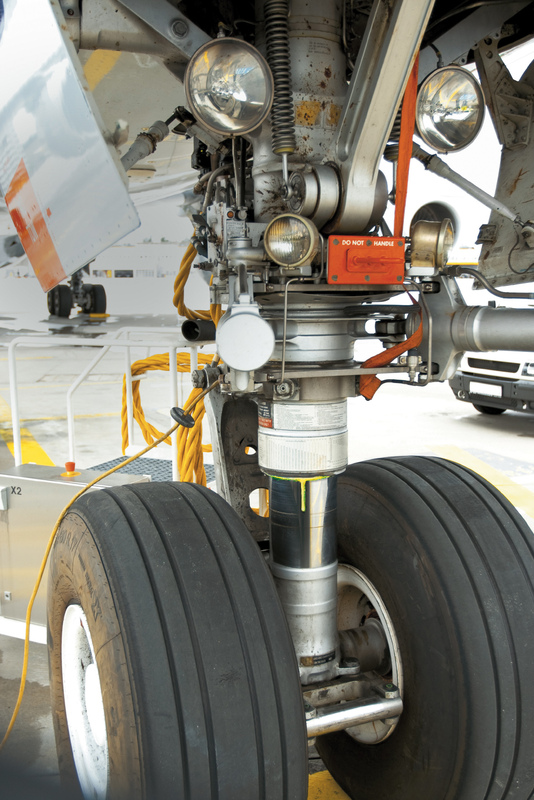 Spectroline® AD-8609 Aero-Brite™ Universal Fluorescent Leak Detection Dye pinpoints the exact source of all fuel, lubrication and hydraulic leaks in aviation systems. Additionally, as the world leader in fluorescent leak detection, the company offers dyes for ground support vehicles, air conditioning and refrigeration systems, facilities fluid systems, industrial and hydraulic systems and much more. Adding the dye is a simple procedure. Pour a small amount of the super-concentrated dye into the aircraft fluid system and let it circulate. The dye/fluid mixture will accumulate at even the smallest leak sites. Scan the area with a Spectroline® high-intensity UV leak detection lamp and a bright yellow/green glow will show the precise location of every leak. Aero-Brite dye is specially formulated to work with any petroleum- and synthetic-based host fluid and meets Mil Spec MIL-PRF-81298E, Type III, Yellow/Green Fluorescent for aircraft fuel systems. It will not damage the fluid's properties or any of the system's components. Aero-Brite allows inspection of the entire system under most operating conditions, and is ideal for both in-flight and static testing. Aero-Brite is available in 8 oz (237 ml), 16 oz (473 ml) and 32 oz (946 ml) bottles, and 1 gallon (3.8 L) containers.